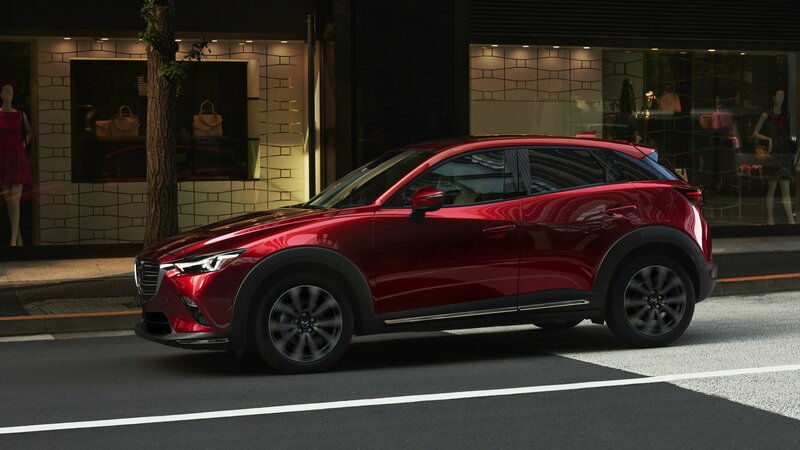 Mazda updated the CX-3 for the 2019 model year just a couple of years after its initial debut. It wasn’t an update to bring a plethora of new design cues, though. It was more about addressing what Mazda didn’t do right the first time. As such, it got some new technology, like an electronic parking brake, a new armrest for rear passengers, more comfortable seats, and some revisions under the metal too. Sure, it doesn’t really look different, but it’s still worthy of some time well spent on your desktop if you’re a fan of Mazda’s little crossover. As such, we’ve hand-picked a few wallpapers and made them available just for you. 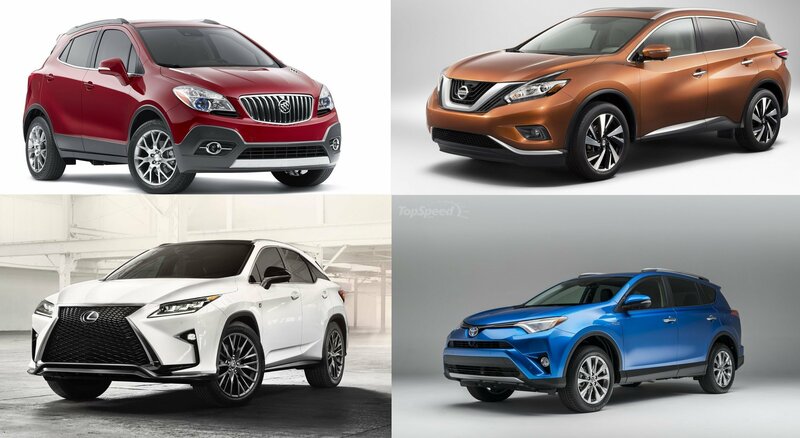 When you’re Mazda, and you’ve already stepped into the compact and midsize crossover market, you might as well go all in and take a piece of the subcompact crossover market too. 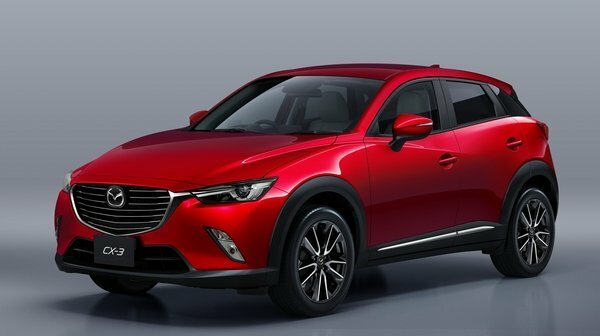 That’s exactly why Mazda decided to release the Mazda CX-3 – an SUV that looks more like slightly larger and jacked up Mazda 3 5-Door that the other CX-models. As expected, the CUV has a detailed exterior that is a continuation of the KODO Soul of Motion design language and an interior that is similar to that of its bigger brethren. Inside you’ll find stadium seating, a large passenger compartment (for a subcompact) and engaging ergonomics. Under the hood, a Skyactiv, 2.0-liter four-cylinder sends power to a six-speed automatic. Front-wheel drive is a standard feature, while all-wheel drive is an option. On top of the beautiful and functional cabin, the CX-3 also comes with a decent list of active and passive safety features that are common in the market. The CX-3 went on sale in August of 2015 as a 2016 model and so far seems to be performing reasonably well. With seating for five and the ability to pull 35 mph, the only thing (aside from styling) that sets it apart from the CX-5 is the starting price of $19,960 – about $2,000 cheaper than its bigger brother. With that said, the CX-3 is a sporty little crossover and looks to work well for smaller families or those who don’t need to haul a ton of heavy cargo. 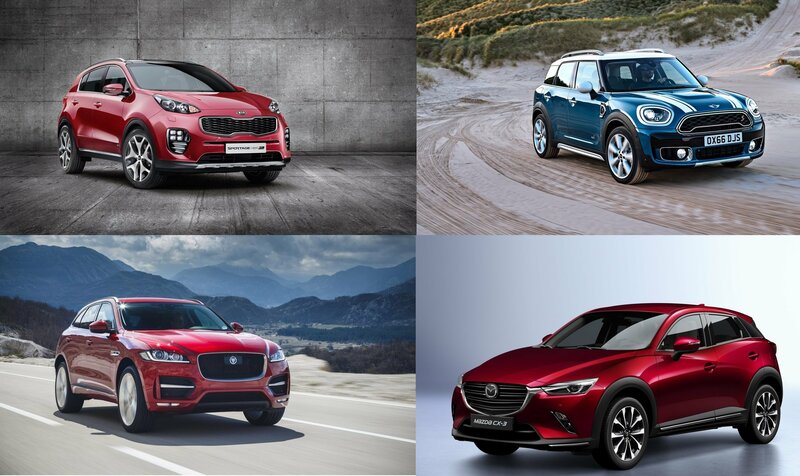 So, let’s take a closer look at the CX-3 and all of the specifics that surround Mazda’s newest crossover. Update 6/6/2016: Mazda has released pricing for the 2017 Mazda CX-3. Check the Prices section below for all the details. 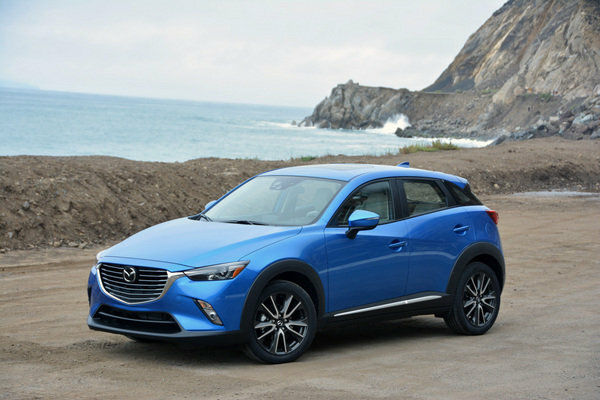 Click past the jump to read more about the 2016 Mazda CX-3. There’s no doubt that subcompact enthusiasts were severely disappointed when Mazda announced that it had no immediate plans of bringing the next-gen 2016 Mazda2 to the U.S. Fortunately, there’s another viable option for passionate small-car fans that doesn’t involve stepping foot into a Scion dealership (where the new 2015 Mazda 2 sedan is sold as the 2016 Scion iA). Meet the 2016 Mazda CX-3. 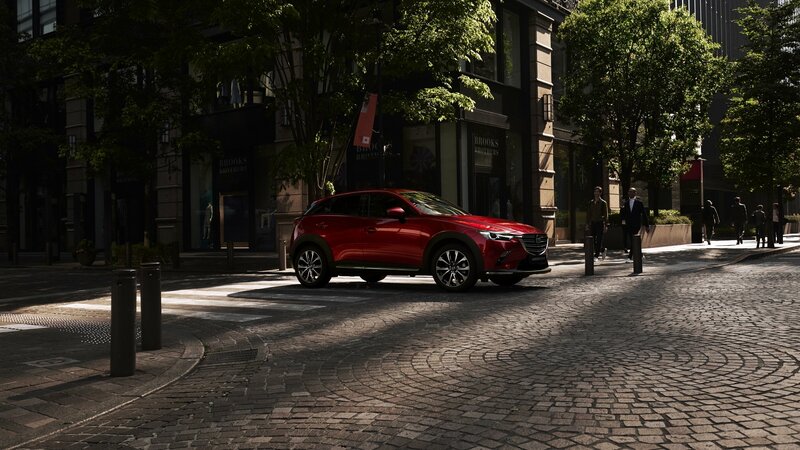 Based on the same platform as the Mazda2, the CX-3 will target younger buyers with an active lifestyle, with its taller ride height, added interior space and optional all-wheel drive. Mazda’s answer to the growing number of subcompact crossovers, the CX-3 will be competing in a red-hot segment that Mazda believes is “set to explode” in coming years with some of these new mini-utes already on sale. 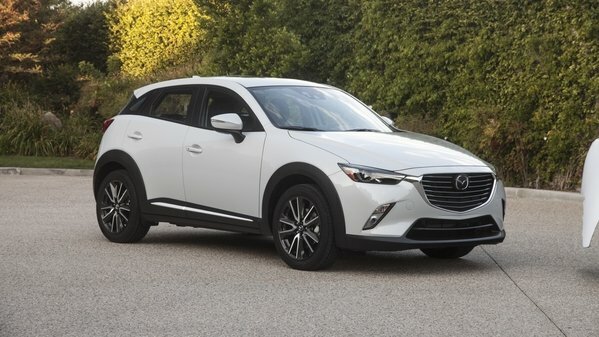 For Mazda, the new CX-3 adds to a solid lineup of CUVs that now includes the aged-yet-proven mid-size CX-9 and the model that can easily be credited with helping to spark the brand’s recent renaissance, the compact CX-5. 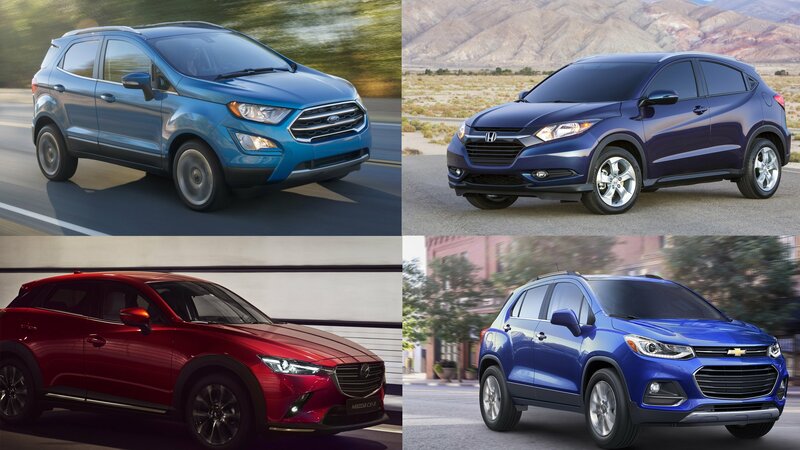 With the 2016 CX-3 not expected to go on sale until mid-August, vehicles like the Jeep Renegade, Fiat 500X and Honda HR-V have a significant head start, but I recently had the chance to sample the new CUV along the exciting roads of Southern California to see how much “zoom-zoom” Mazda can inject into a size- and value-driven segment.